Likud members and supporters celebrate Israel's election results at party headquarters in Tel Aviv on April 9, 2019. Photo by Yonatan Sindel/Flash90. 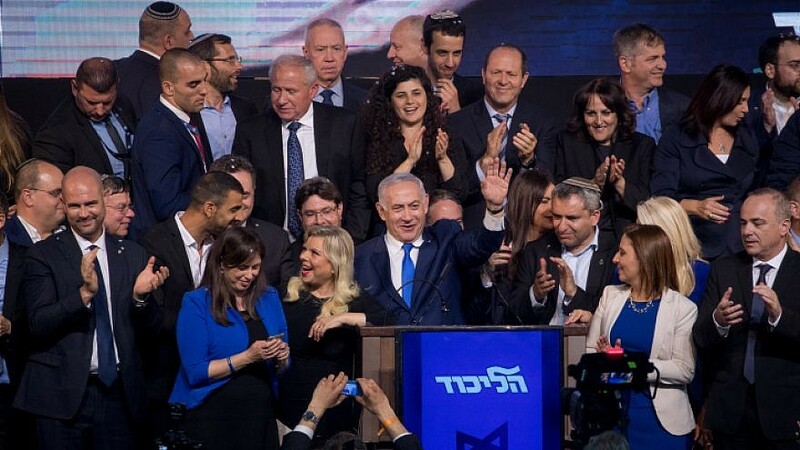 (April 16, 2019 / JNS) With eight of 11 parties elected to the Knesset affirming to Israeli President Reuven Rivlin their support for election winner Benjamin Netanyahu, the recently re-elected prime minister now has the support of 61 Knesset members, enough to form a coalition. Former defense minister Avigdor Lieberman’s Yisrael Beytenu also recommended that Netanyahu form the government, but the recommendation is not a guarantee Yisrael Beytenu will join the government. Rivlin will officially announce his decision after the final results of the elections are presented by the Central Elections Committee on Wednesday evening. From that moment, the chosen Knesset member will have 28 days to form a government before the option to do so is given to someone else.